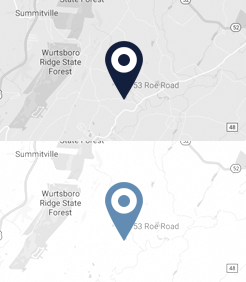 Ingber & Provost is a Bloomingburg law firm helping clients throughout Sullivan County and Orange County in the areas of personal injury and bankruptcy. If you have been hurt due to the negligence of others, or if you are struggling to make ends meet under a mountain of debt, our lawyers can help. The law is on your side, but the burden is on your shoulders to take action and get the justice you deserve. Let our attorneys take on that burden for you and achieve positive results on your behalf, as we have for countless others in Bloomingburg personal injury and bankruptcy matters. Our other main area of practice consists of helping individuals and families in Bloomingburg who are struggling with debt to stop creditor harassment and make a fresh start through a Chapter 7 or Chapter 13 bankruptcy. With the filing of a bankruptcy, we put an immediate stop to the endless harassment of bill collectors while we work out a plan to eliminate high-interest credit card debt and medical bills, save your home from foreclosure, lower your mortgage payment and use the many tools of bankruptcy to meet your most pressing needs. Most of our Bloomingburg bankruptcy clients emerge debt free from bankruptcy without having to sell any of their possessions and without having to step foot into a courtroom. Call our Bloomingburg office to schedule an appointment with an experienced Sullivan County bankruptcy lawyer who will advise you on whether bankruptcy is right for you and how you can benefit from a Chapter 7 or Chapter 13 filing. To get started achieving excellent results after a serious personal injury or deep financial setback, call Ingber & Provost at 516-627-5809 for advice and representation from skilled and knowledgeable Bloomingburg bankruptcy and personal injury lawyers with decades of experience helping people like you throughout Sullivan County and Orange County.